Download our guide to buying property in France – it’s your need-to-know guide to taking the plunge. If you’re thinking of moving to France, or at least buying a property there, you’ll need a little help along the way. That’s why we’ve asked the experts. In the coming weeks, we’ll hear from solicitors, estate agents and people who have actually been there and done it. This time round, we hear from buyers’ agent Sophia Mose, who works on the behalf of sellers purchasing property in the Aix-en-Provence, Luberon and Alpilles areas of Provence. Here, she answers your questions. Is there anything specific about the French system that foreign buyers should know? “It helps to know that French vendors generally list their property with at least three agencies and often also advertise privately. It’s a commission lottery; only if an agency manages to sell a property do they earn any commission. Now you’ll understand why agency commission is relatively high in France (up to 10%). 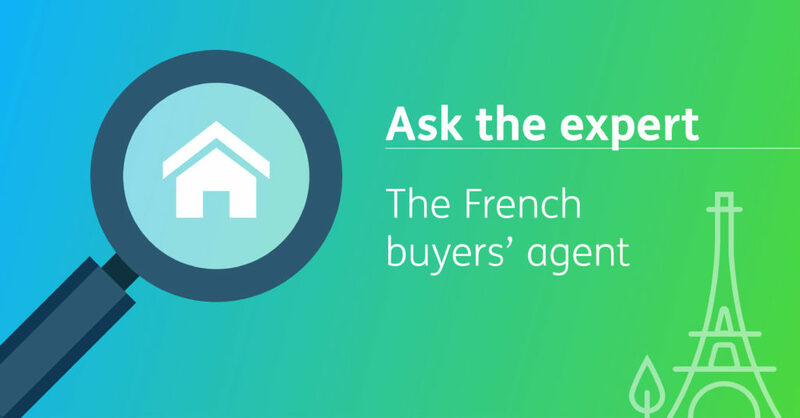 Why would an international buyer in France use a buyer’s agent? “A vendor agent has an obligation to obtain the best price possible for the vendor. It would be unfair to expect them to simultaneously be able to get the lowest possible price for the buyer. “An exclusive buyer’s agent (also known as a property finder or search agent) only represents buyers and does not have any arrangements with the vendor. They provide expert advice to the buyer and can negotiate the best price for their clients. “A vendor agency usually has a sharing arrangement with a few competitors, but in my part of France a house hunter has to contact dozens of agencies to cover the entire market. Most of these agencies speak limited English. What are your insider tips for buyers in France? “Don’t hesitate to put in a lower offer than the amount suggested by the vendor agent, but always underpin the offer with an explanation, such as renovation costs or your own financing limits. Sophia Mose runs property search agency Provence Search. She is a lawyer and fully licensed buyers’ agent representing clients looking to buy property in Provence.